This level is hard as the board is divided to four part and per part have four rows and columns. You need to also break few blockers and chocolates. First you should try to break all chocolates and then try to make striped candy and break as much first you can. 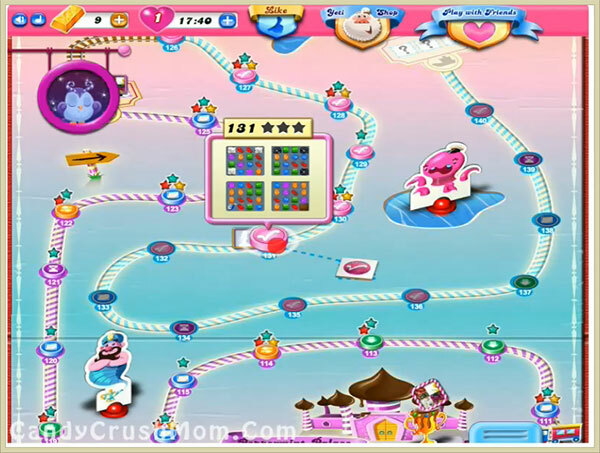 You should try to play more from bottom part of the board or from top part if have chance to make striped candy. You can use hammer tool booster if you out of moves and need to break striped candy. We completed this level with 20480 score by using lot of striped candy and at the end we use hammer booster to reach requirement.